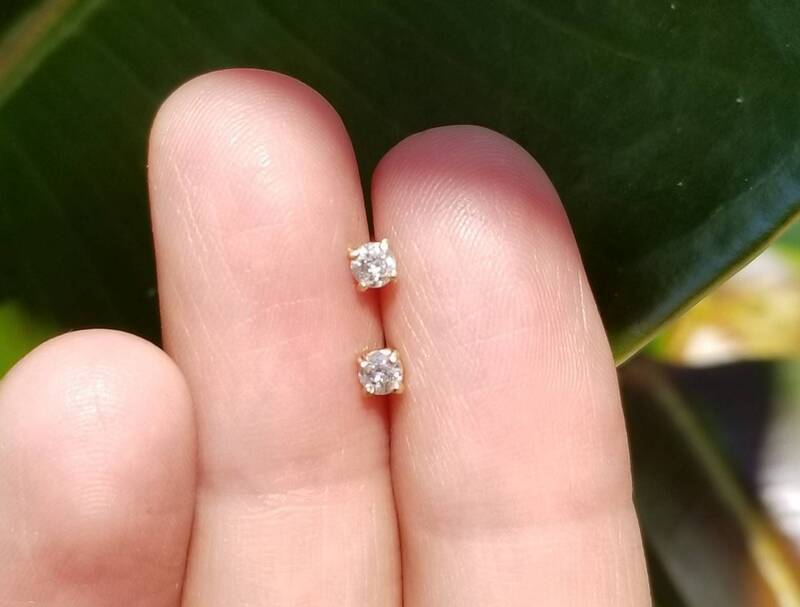 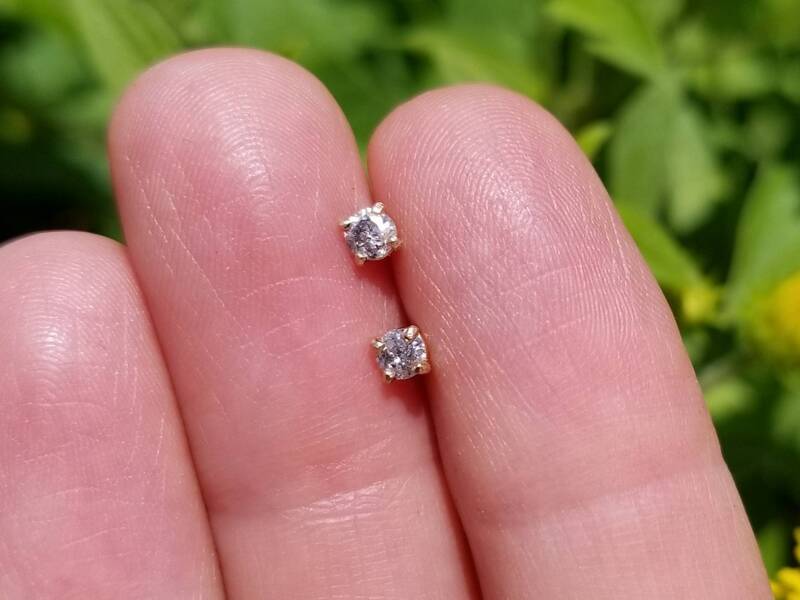 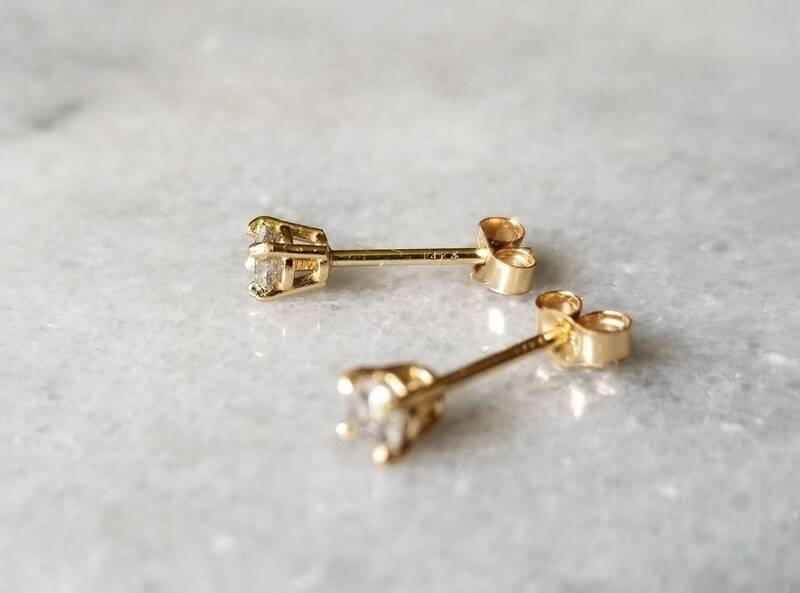 These little earrings are so precious. 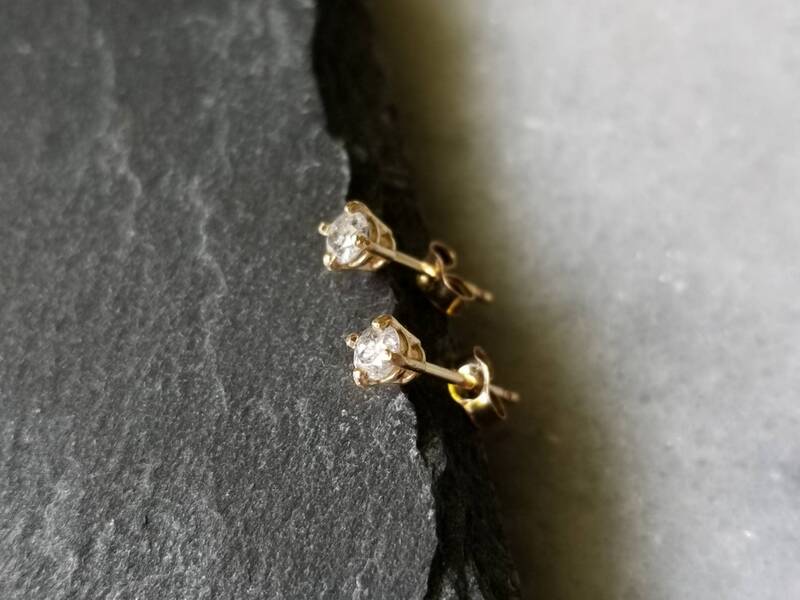 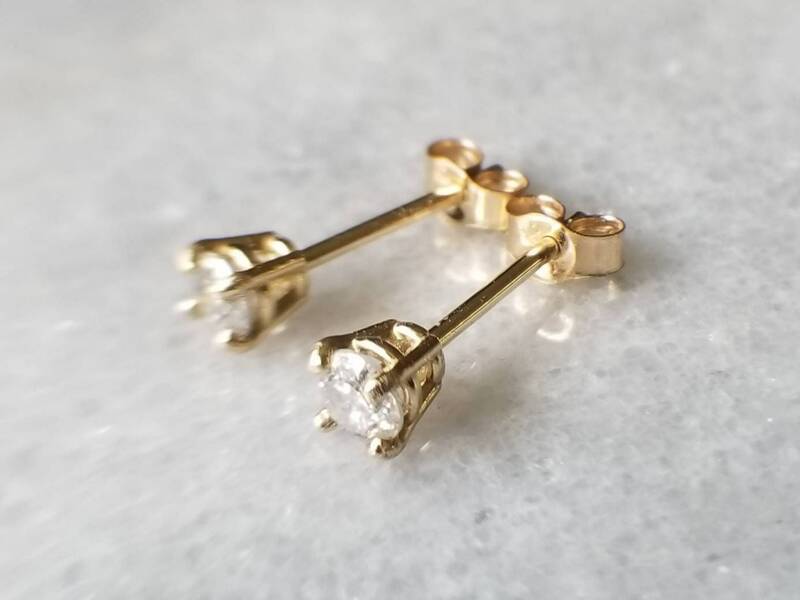 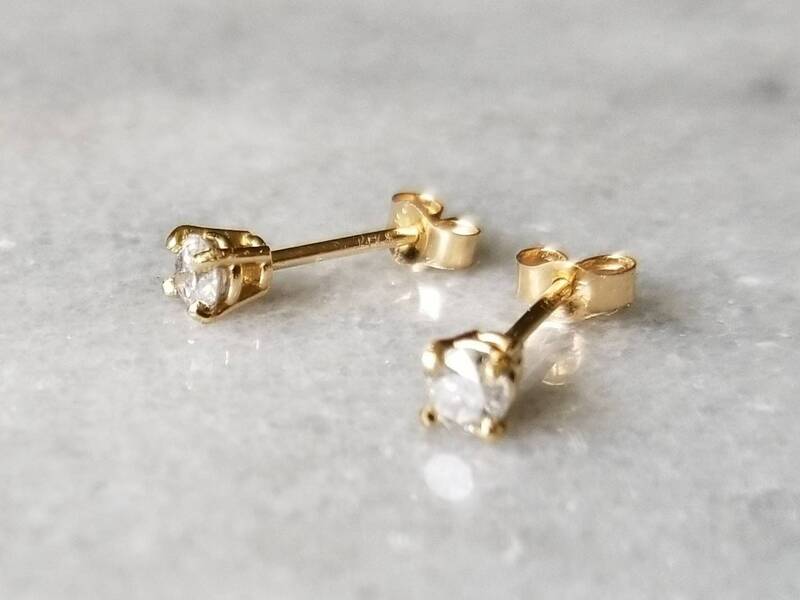 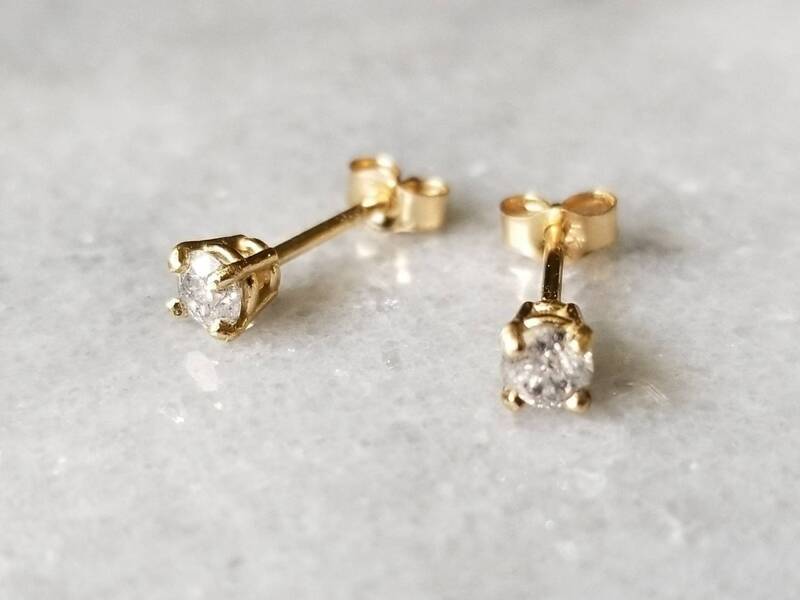 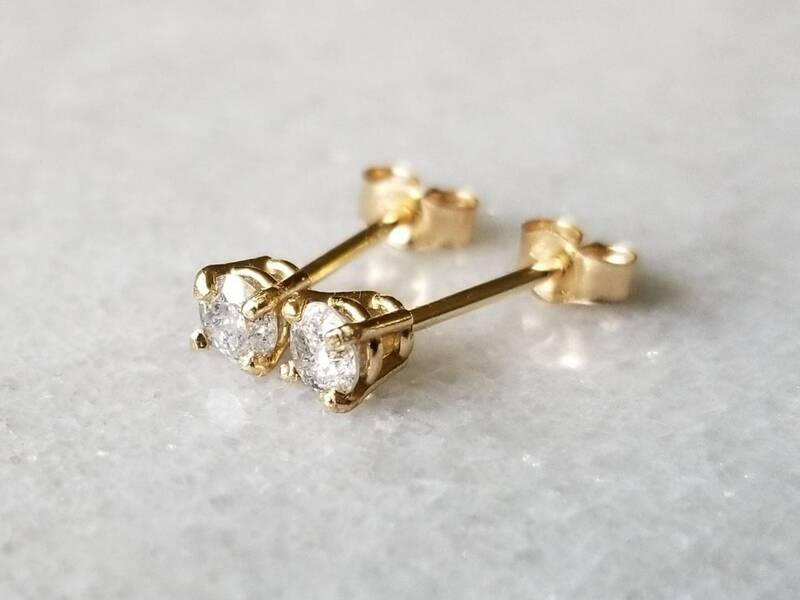 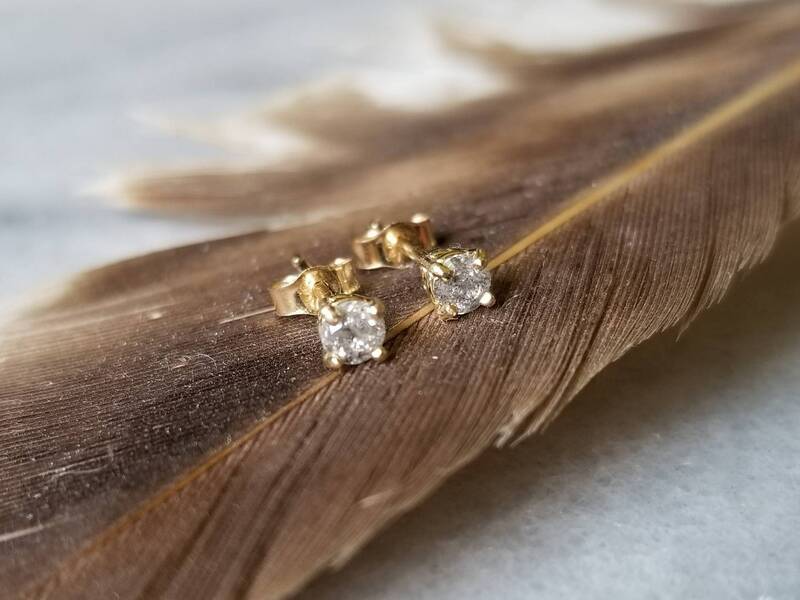 The diamonds are off-white, brilliant cut and are set in solid 14k gold four prong basket settings. 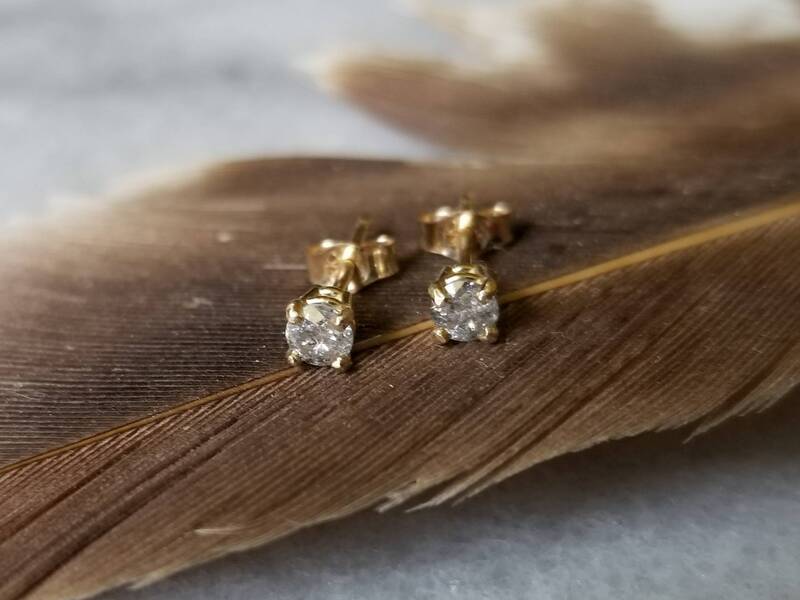 They are full of sparkles and elegance.